Like the best sleepover you had as a kid, but with booze. 1. Decorate with fun glitter banners to set the mood. Spoiler alert: you'll probably want to keep it up long after the party has ended. Get it from Urban Outfitters for $13 (originally $16). Check out their full selection of party banners here. 2. And scatter giant confetti-filled balloons all over the dang place for a majorly decorated feel without spending a lot of time or money. Pro tip: after inflating them, rub the balloons on carpet — the static electricity helps the confetti cling to the sides! Get a 10-pack of 18-inch balloons from Amazon for $13.95. Orrrrrrr you can get LED-lit colorful balloons that'll stay up all night WITH you! Get a pack of 15 from Urban Outfitters for $12. 3. Have everyone wear matching onesies. Matching unicorn onesies?? Even better. Looking ridiculous, being comfy, and bonding — that's the whole point. Get them from Amazon for $13.99+ each (available in sizes S–XL and eight colors and styles). Not quite so into the unicorn idea? (First of all, how dare!) Check out 33 Cozy Onesies That Will Complete You. 4. Whip up a big batch of cocktails before anyone arrives to get the party started, so you don't have to stand in the middle of the kitchen hand-making drinks while everyone else is having fun. Get the recipe for this refreshing gin punch (it serves 10-12, and you can easily double it!) at Distillerista. For more intoxicating ideas, check out 14 Big-Batch Cocktails That Won't Break The Bank (pssst: they all cost $30 or less to put together!). Looking for a cute drink dispenser? Try this 1.5 gallon one, which is emblazoned with gold lettering spelling out "Drink!" — get it from Overstock for $39.99. 5. Or have a wine and candy pairing party — here's Vinepair's guide to which blends go best with which candies. Someone please get me a Kit-Kat and some merlot STAT. 6. Once you've been intoxicated by sugar and/or alc, break out a karaoke mic and belt your hearts out to the Hamilton cast recording, Bonnie Tyler, or whatever else floats your boat. Get it from Amazon for $24.99+ (available in five colors). 7. Make a DIY photo booth and collect props to capture all the best moments. Learn about how this one was made at A Beautiful Mess. Get a foil backdrop similar to the one used here from Amazon for $9.25. Check out their selection of top-rated photo booth props here! 8. Try Fujifilm's Instax photo printer for easy and memorable party favors. It prints hi-res, Polaroid-style photos directly from your smartphone in 10 SECONDS — and doesn't require ink. Get it from Amazon for $145. It works with any kind of Fujifilm Instax Mini Film too, so you can opt for black and white film, or photos with fun borders in bright colors or glitter. 9. Having a spa night in? You can warm up a whole bunch of soothing and scented hot towels right in your slow cooker! Here's what you need: washcloths (24 for $13.99 from Amazon, your preferred essential oil (8 for $12.95 from Amazon), and of course the slow cooker ($29.99 from Amazon). Learn more at Thrifty Little Mom. 10. Then break out a pack of 32 (😱) sheet masks — they're all made with vitamin E and collagen, but each one has a different main ingredient or purpose (like charcoal, green tea, aloe, etc.) so each of your guests can have a personalized treatment. 11. Start snacking on boozy ice cream sandwiches to kick things up another notch from those boring ones you ate as a kid. Get a pack of 12 shipped right to your house from Tipsy Scoop for $60. They also sell boozy ice cream cakes and by the pint, too! 12. Or serve milk and cookie mocktails — complete with a sprinkle-coated rim of course! Learn how to make these at Family Bites. 13. Looking for non-boring drinking games to play for your besties? Boy, do we have some suggestions for you. Check 'em all out here. 14. Throw things back to those good ole college days and play scaled-down beer pong, complete with a catapulting ball that's tethered to the table so things can't get TOO sloppy. 15. DIY the ultimate ~no sew~ pillow fight tool so your nice sleeping pillows don't get busted instead. Check out the tutorial (and free printables for the iron-on lettering!) at Handmade Charlotte. 16. You're already talking about your exes, so might as well play a few rounds of Social Sabotage, a game of truth or dare for the smartphone era. Players match a dare (write "Grandpa really fills out those khakis") with a place (on Facebook!). Whoever completes the challenge gets the card, and the player with the most cards at the end wins! Get it from Walmart or Jet for $24.97. 17. 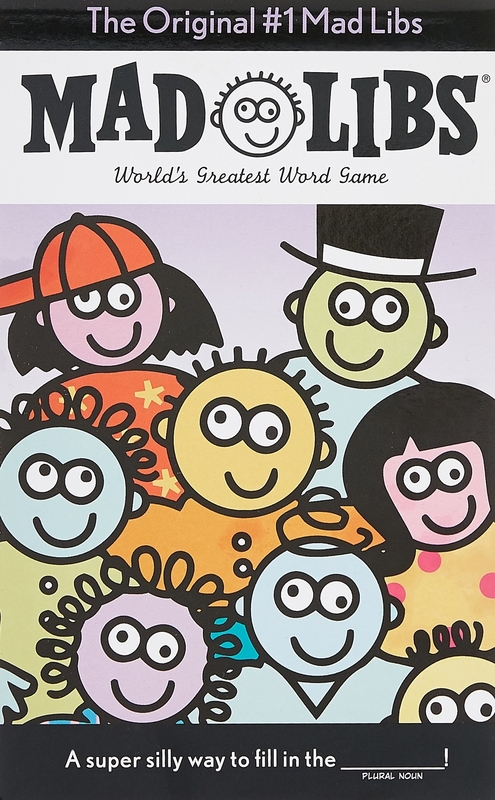 Reminisce about childhood road trips with Mad Libs for a big dose of laughs — just fill in the blanks with adult versions of whatever your kid brain would come up with. 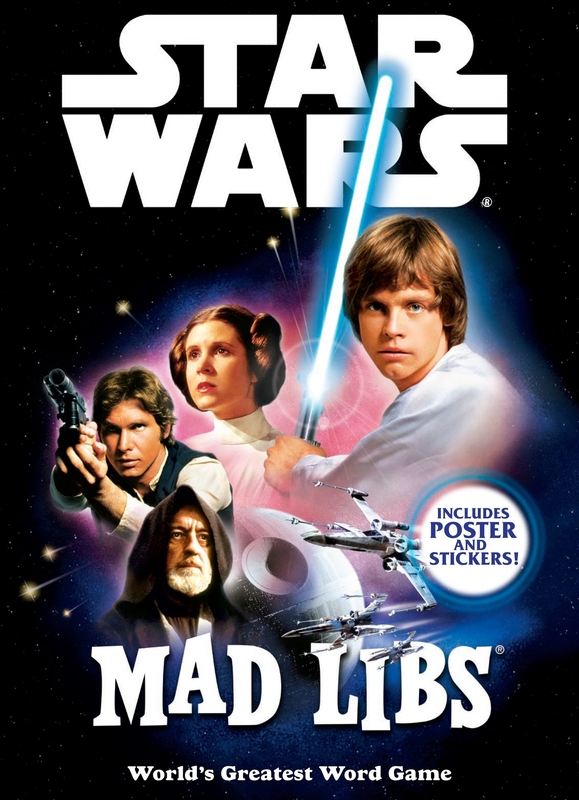 Get them from Amazon: the Star Wars Mad Libs for $8.73 and the original Mad Libs for $3.52. Check out all the available Mad Libs options on Amazon here. 18. Single? All married? WHO CARES, DOESN'T COUNT. 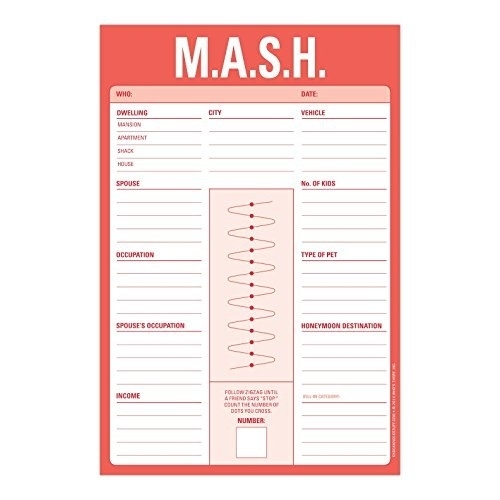 Plan your *actual* futures on a pre-made M.A.S.H. notepad. 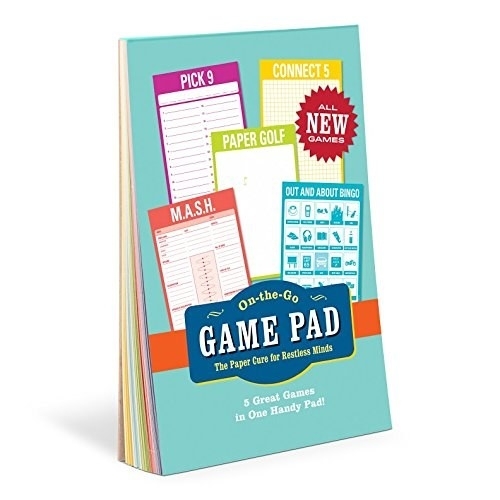 It's one of five game pads that come in the pack for extra fun! Get it from Amazon for $8.25. 19. Take out your adulthood stress on a piñata filled with goodies. "Take THAT, figuring out what a deductible actually is!" Spray paint a regular piñata to make it a little more grownup, and stuff it with candy and (PLASTIC) bottles of alc. Bring on the party. Learn how to make one at A Beautiful Mess. You can get a unicorn piñata from Amazon for $20. 20. Nosh on safe-to-eat (it's eggless!) cookie dough so you can enjoy all the deliciousness tonight without having gastric regret tomorrow. Check out the recipe at What Molly Made. If you're worried about eating raw flour too, just spread it out on a baking sheet and heat at 350° for five minutes to toast it. Then mix your ingredients together as usual! Let's be real: still not feeling the whole *cooking* thing? Try Dō , which makes and sells all kinds of delicious (and ready to eat raw!) cookie dough, in flavors like traditional chocolate chip, oatmeal M&M, s'mores and more, PLUS gluten-free and vegan options. Get it delivered right to your door — learn more about your ordering options here! Psst, if you're in NYC and this sounds amazing, you can order it to be delivered like, right now (I know!) through Caviar. Learn more here! Looking for cheap pillows and blankets to add to your collection so you can build a bangin' fort? Check out Amazon's selection — you'll save money and have things shipped right to your door for the besssst parrrty evverrrrr. Check out their under $25, top-rated pillows here and blankets here! 23. Do the Olivia Pope thing and eat tons of popcorn. 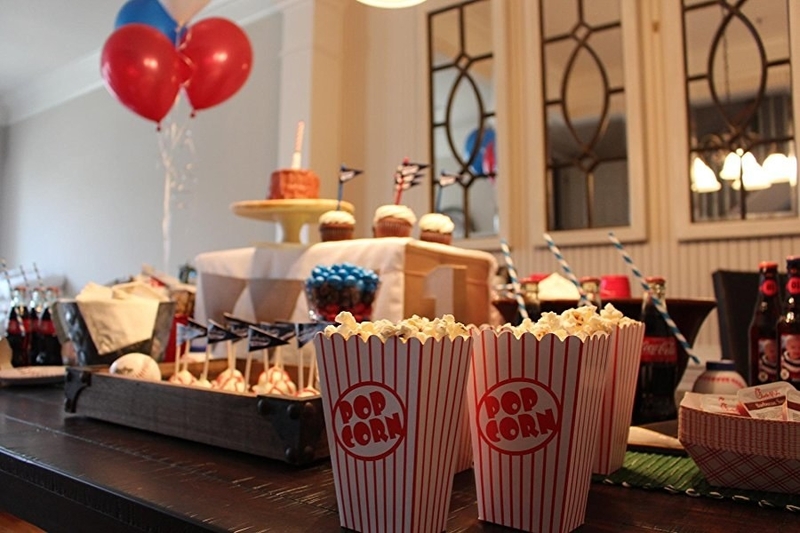 Even better if you set up a build-your-own popcorn bar. Just pop a whole batch and set a variety of toppings in small glass bowls (like the ones you use for mise en place — you can get a dozen from Amazon for $17.49). Get inspired by this popcorn bar at Family Fresh Meals. 24. If you're feeding a crowd, get an air popper that can make up to 18 CUPS OF POPCORN in less than 2.5 MINUTES. That's what's up. 25. 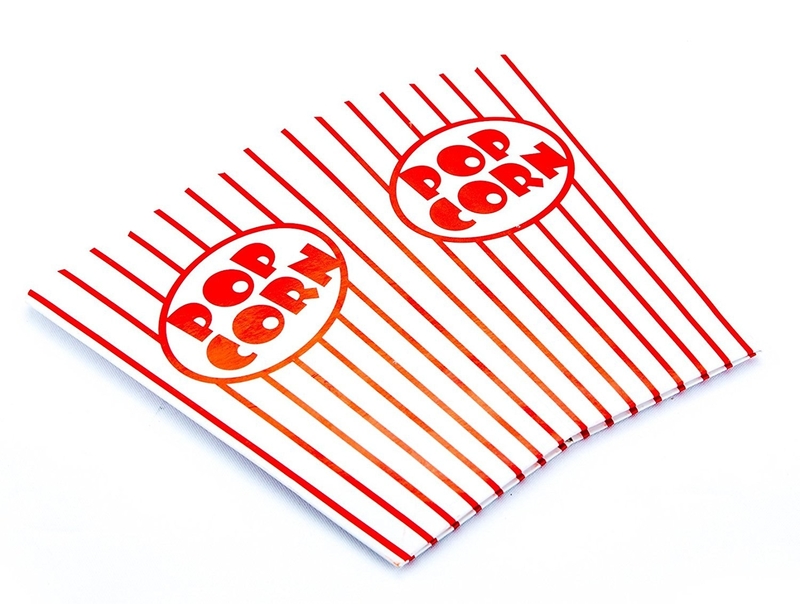 And put the popcorn in easy fold-together cardboard boxes for ~no dishes~ the next day. Just recycle 'em! Get a pack of 100 from Amazon for $17.39. You'll be set for *several* sleepovers and movie nights to come. 26. Stay up late reading the Scary Stories to Tell in the Dark of our generation — Tinder Nightmares. Get it from Amazon for $9.69, Barnes and Noble for $13.99, or a local bookseller through IndieBound here. If you'd rather just read Scary Stories to Tell in the Dark anyway, you can snag a copy from Amazon for $5.99. 27. Run out of your own ideas for Never Have I Ever? Never let that happen again, and spring for the card game version, which has 485(!) prompts so you can play again and again and again and again! 28. When you're ready for those just-turned-out-the-lights life talks, try questions from a conversation starter set to get things flowing. 29. Order matching eye masks for when everyone *actually* wants to finally go to sleep. Get it from Leeshyanna on Etsy for $6 (or $4 each if you buy five or more masks). Also available a version that says "wake me for mimosas!" 30. And when morning comes, make a giant cinnamon roll cake for everyone to share. Get the recipe (plus one for a super easy vanilla maple glaze) at Sally's Baking Addiction. Orrrrrrr you can also just pop a roll of Annie's organic cinnamon rolls. Up to you. You can get a tube from Amazon Fresh for $5. 31. And set up a coffee bar so everyone can customize their own brew. After a night like the one you just had, people are going to need their caffeine promptly. Set out a carafe of coffee, milk or creamer, any sweeteners or syrups, and snacks. That's it! Get more info and inspiration at Fantabulosity.